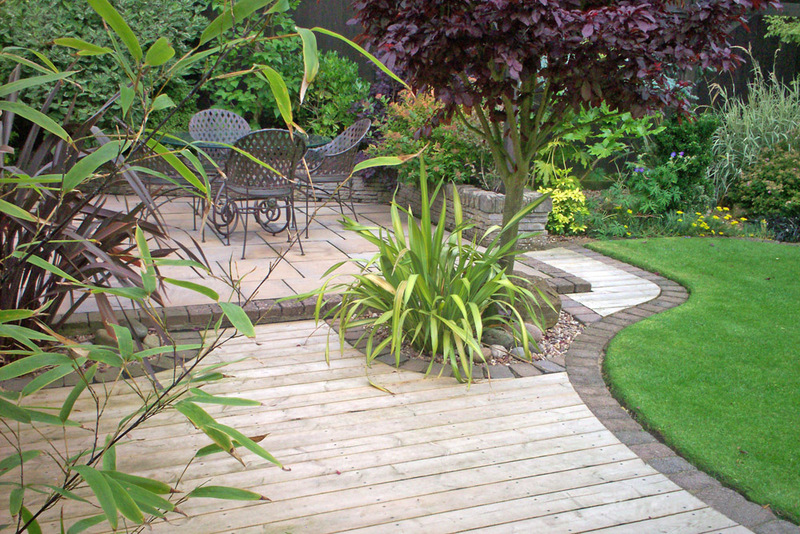 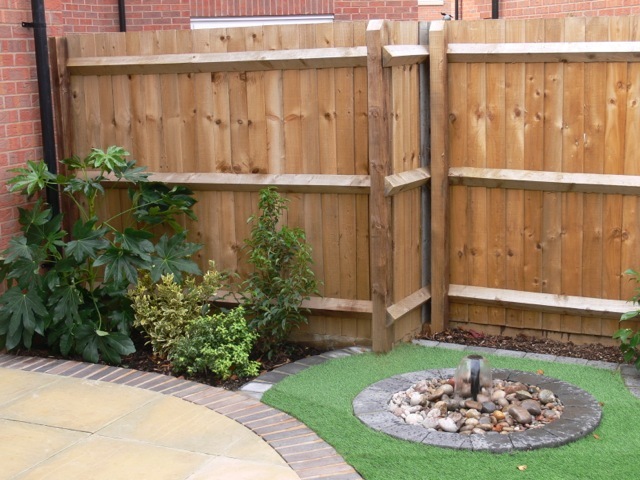 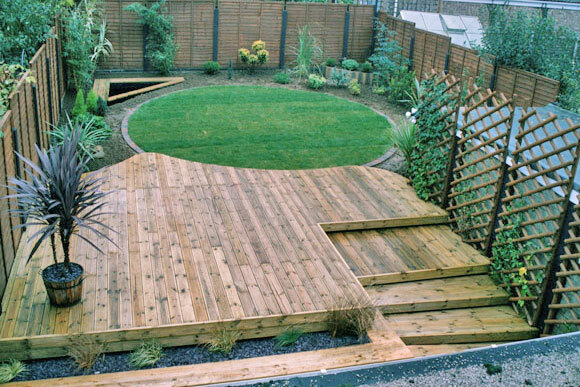 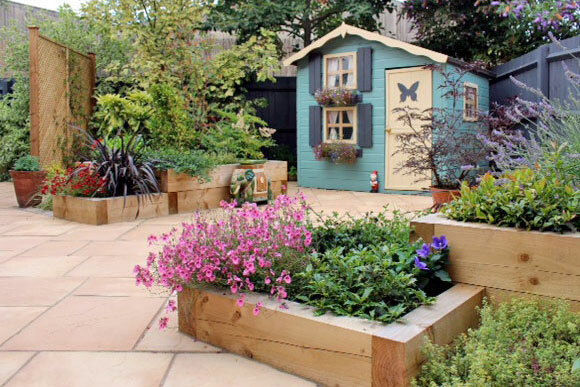 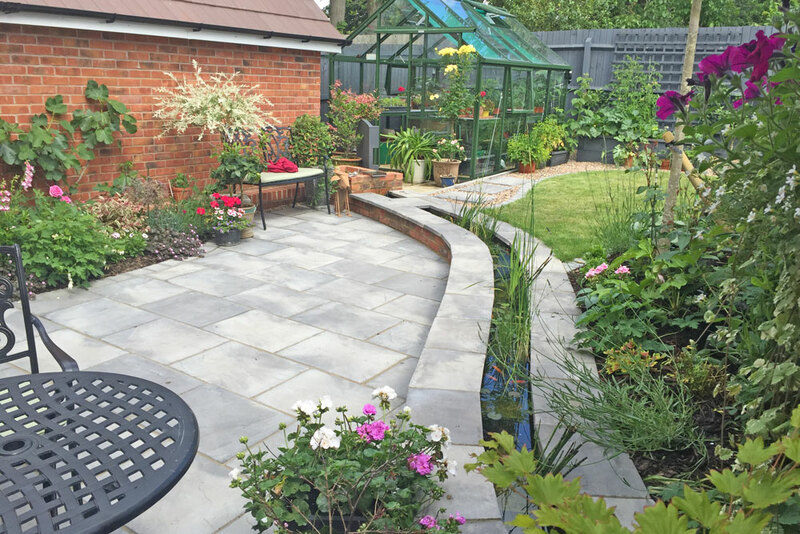 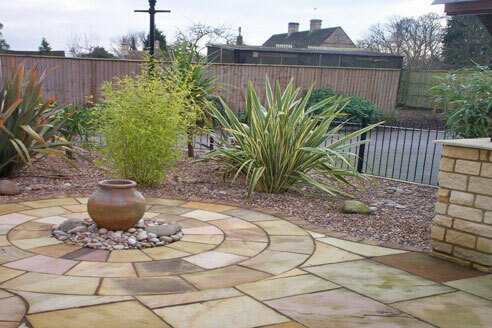 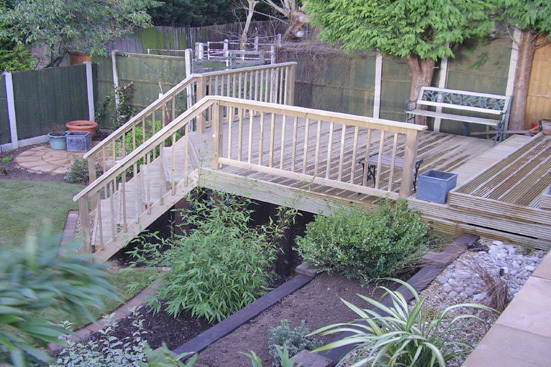 This is quite a small triangular garden that the customer wanted low maintenance as away a lot throughout the year. 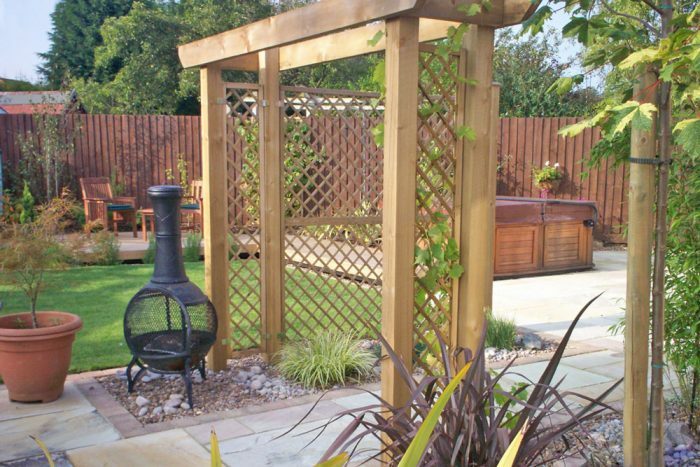 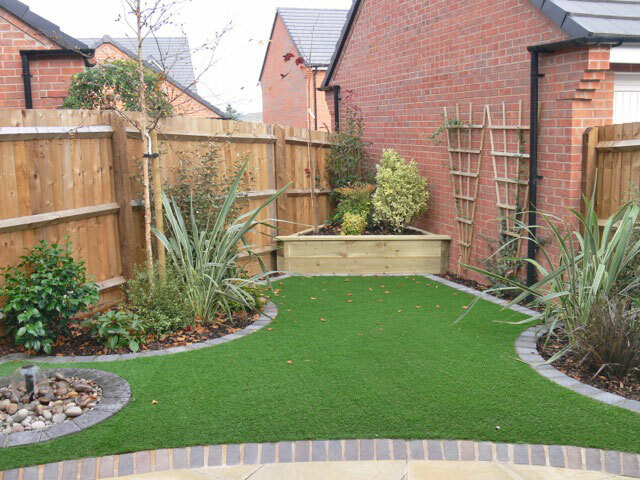 So with this in mind we created a raised bed to rear of garden as this dropped away considerably, half circle planters with straight borders we all defined with a rumbled block edge. 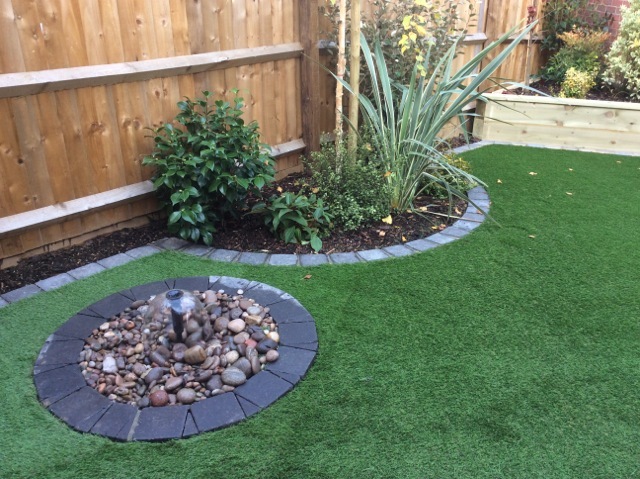 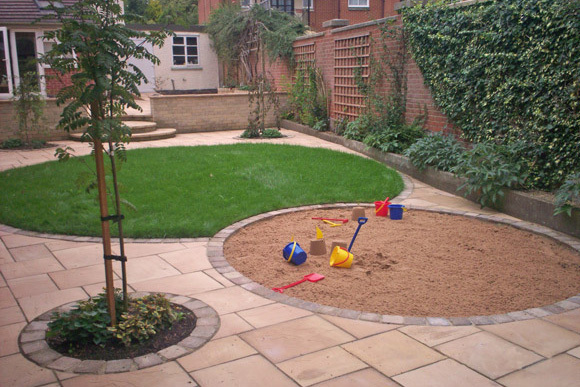 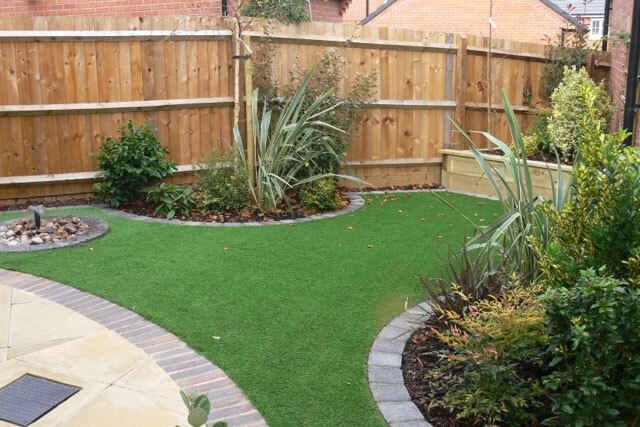 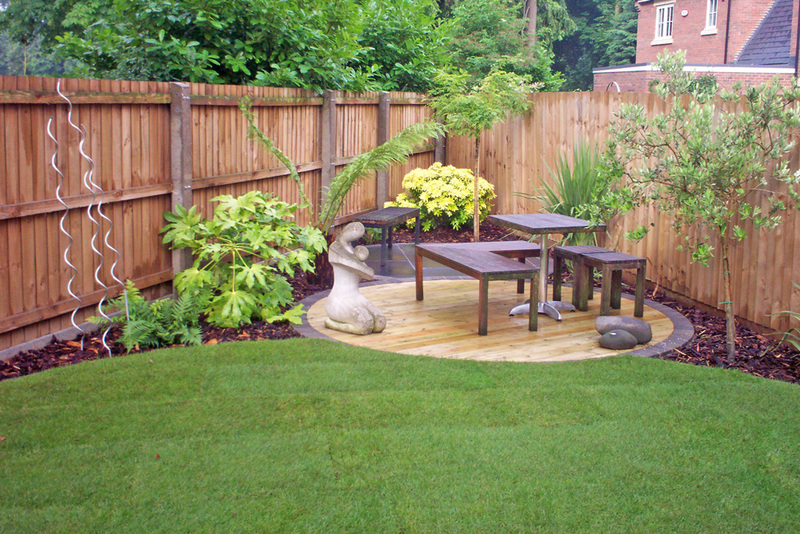 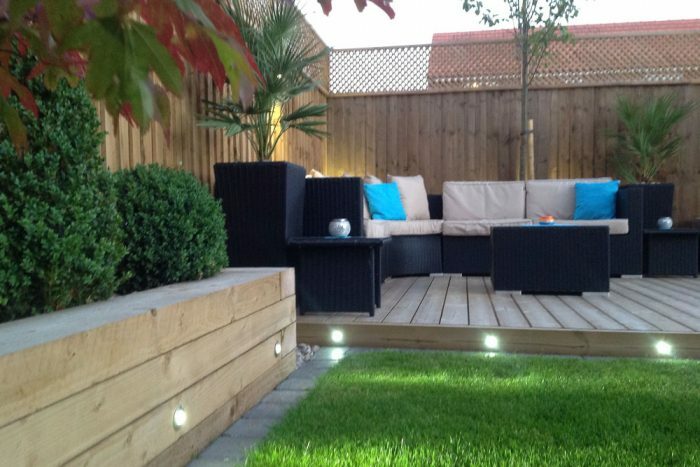 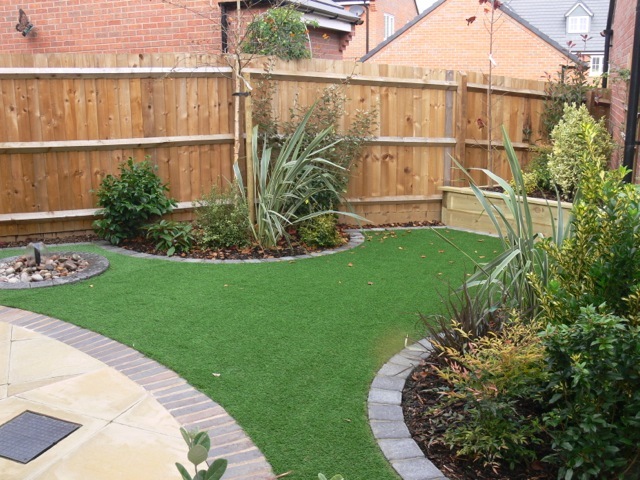 Then IGrass artificial lawn was laid as customers still wanted a green appearance rather than all gravel or flagstone. 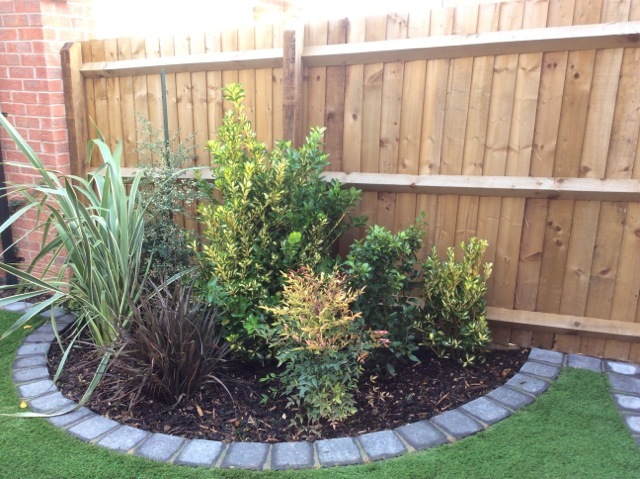 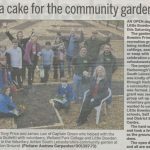 The plant beds were planted with specimen shrubs and trees and finished with bark mulch. 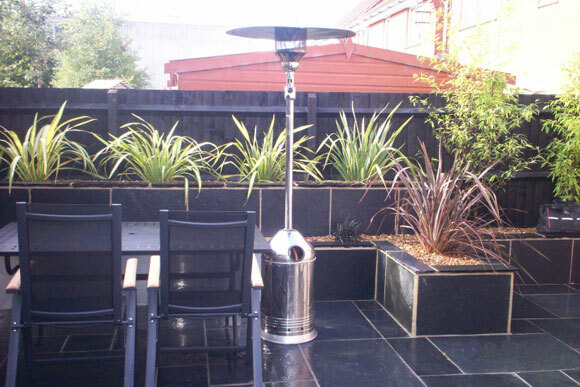 Finally a small water feature was installed close to the existing terrace area.